The compact city – with development grouped around greater public transport, walking and cycling – is a far more environmentally sustainable form of city. More compact cities consume less land, and result in lower emissions and less air pollution compared to low-density cities. They also mean more efficient public utilities such as water, electricity, broadband, and postal services as infrastructure is more compact and less spread out (less water pipes, electricity, broadband cables, etc.). Compact cities also allow the creation of a more efficient public transport system. However, for population densities to increase and for walking and cycling to be widespread, a city must increase the quantity and quality of well planned public spaces that are human in scale, beautiful, sustainable, safe and healthy. 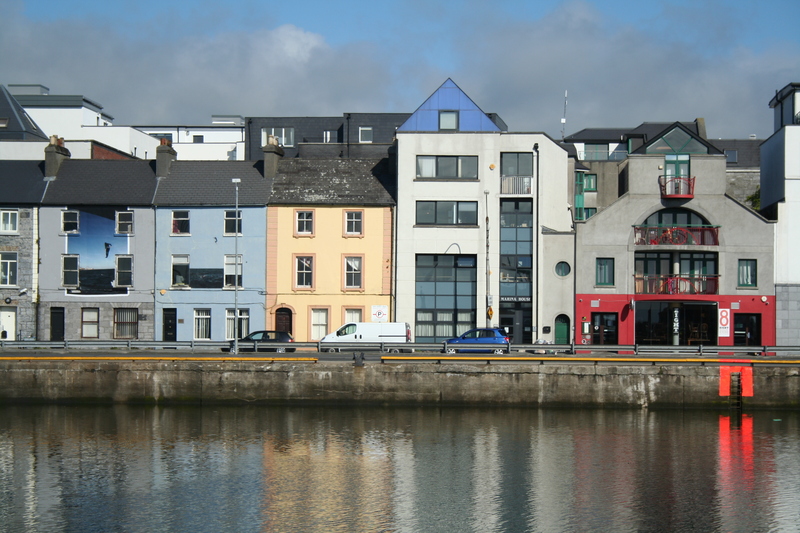 This has been reasonably well achieved in the relatively compact historic city centre with its medieval streets and around Galway Docks. A more compact city would be quieter as there would be less traffic. It is also more intimate and pleasant. To avoid urban sprawl, we need to intensify the city centre and suburbs instead of allowing further dispersal. Increasing densities by utilising idle spaces in buildings (e.g. by making empty rooms above city centre shops habitable) and by building on underused and vacant sites is an option. A more compact city would mean more terraces, duplexes and apartments – these would have to be well designed and built. A more compact city is a more walkable city allowing pedestrians reach as many important city functions, services and facilities as possible by walking 1km or less and also includes opportunities for exercise!